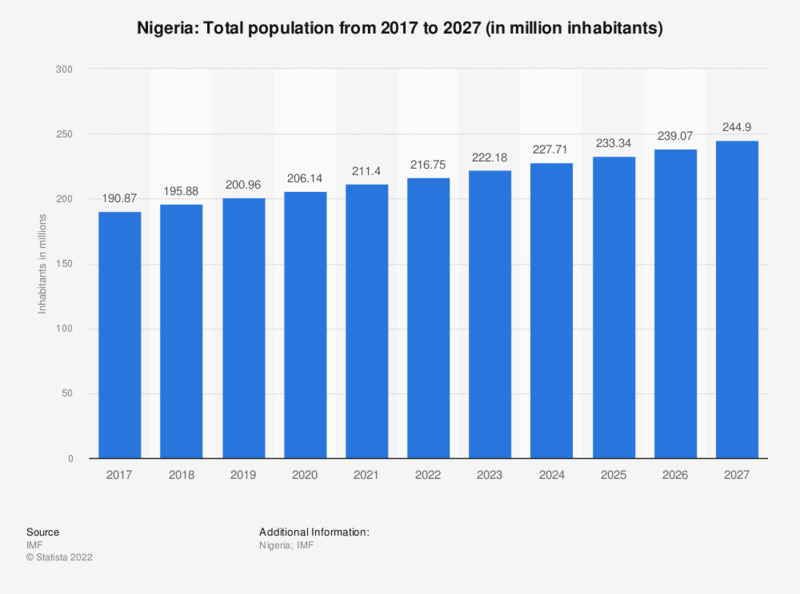 This statistic shows the total population of Nigeria from 2012 to 2022*. In 2012, the total population of Nigeria amounted to approximately 164.75 million inhabitants. Nigeria: Do you think the government is doing enough to fight terrorism in 2014? Nigeria: Do you think that Boko Haram and other militant groups pose a threat for Nigeria's future in 2014?